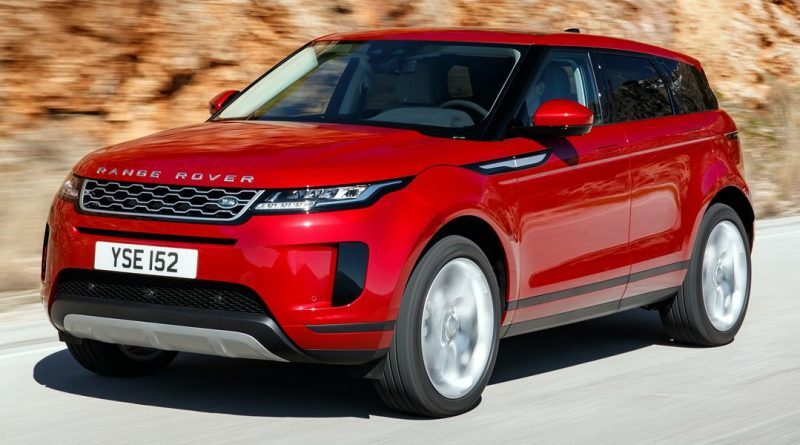 Traditionalists looked away when the Evoque was first launched, but buyers loved it and it and Land Rover could barely make enough to keep up with demand. The promise of off-road ability, the fashionable design work, and that Range Rover name ensured success. Replacing something so successful is tricky, which is why Land Rover hasn’t really played around with the winning formula too much. It’s almost precisely the same size (buyers like the compact footprint) and remains instantly identifiable as an Evoque. Updates include a smoother front end, flush-fit door handles that pop out when you get near, both borrowed from the bigger Velar model. The black plastic wheel arch cladding of the old model has been consigned to the scrap heap, but at a glance it’s still much the same as it was before. Despite the similarities, this Evoque is entirely new from the ground up. 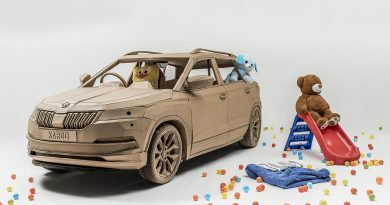 It uses Land Rover’s new Premium Transverse Architecture – that’s the platform underneath that will underpin future Land Rover and Jaguar models that makes use of lightweight materials and, interestingly, comes ready to be electrified. There’s no plug-in hybrid yet, but Land Rover has added a 48-volt mild hybrid system alongside the 2.0-litre turbocharged ‘Ingenium’ diesel engine. This uses a starter motor integrated into the engine that’s attached to a 0.2kWh battery pack, allowing the engine to be switched off when coasting. It can also add extra power at low revs, filling in blanks while the turbo spools up. Land Rover claims it can improve economy by as much as 6%. Economy is officially measured at up to 40.4mpg, and that seems pretty realistic. 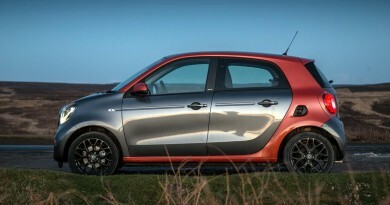 During testing, road-based economy hovered at around 40mpg, although it dropped significantly when off-road. While the old model wasn’t too happy when you ventured across much more than a damp field, the new Evoque is seriously capable off-road. There’s a clutch-based torque vectoring four-wheel-drive system backed up by computers that adjust drive systems, hill descent control and an impressive hill hold system, and even the equivalent of an off-road cruise control system. You won’t be following a Defender down every green lane, but you’ll have to be going some to get stuck in the Evoque. There’s enough power to get you unstuck. There’s an impressive 500Nm of torque to pull the car along, and 240hp to power it on to 140mph. The 0-62mph dash takes 7.7 seconds, the nine-speed automatic gearbox shifting rations smoothly to keep up with demands. Reach a corner and, slightly surprisingly, it’s all very composed. Wide tyres grip hard, but the fully independent front suspension and the Velar-inspired ‘Integral Link’ rear set-up makes a good fist of roadholding. It does this without sacrificing comfort, which is a trick few SUVs manage. The sheer weight of the Evoque eventually sends it drifting wide, as two-tonnes of metal fights physics – that’s more than the old model weighed, and almost 200kg more than an Audi Q3 tips the scales at. Much of the weight is clearly thanks to the soundproofing Land Rover has built into the Evoque, as it’s as quiet, refined and luxurious as anything else in the Range Rover stable. The sensation of luxury continues inside, with a dashboard that’s both traditional and high-tech at the same time. A couple of pitch black glass panels dominate the centre stack, with clear screens, and bright and high-contrast graphics, but they’re not that easy to use on the move. A digital rear-view mirror shows the feed from a roof mounted camera, allowing for a clear view through the letterbox rear window, even when there’s passengers and luggage in the way. The digital instrument binnacle also looks impressive, with fully configurable displays. However, the glass panel, mirror and digital instruments are all cost options, and expensive ones at that. While every model gets climate control, heated seats and a 10-inch infotainment system, the list of options extends endlessly, with equipment you might expect as standard being chargeable. Headlight washers, fog lights and auto high beam will add more than £500, while blind spot monitoring, a surround view camera, adaptive cruise control, high speed emergency braking, park assist and rear cross traffic alert adds a further £2,500. Even keyless entry comes at a cost. Still, the cabin is well finished (if not quite to Audi standards) and spacious enough, even in the rear. The boot is more accommodating too, able to take 472 litres of wellies and hampers. Happily, prices haven’t moved much for this second generation model. While it means the Evoque is still expensive to buy outright for cash, strong residuals will ensure finance costs are kept competitive. As long as that’s the case, the Evoque is a compellingly attractive choice. More practical than before, as stylish as ever, and now able to mix it with the best on the rough stuff, it’s everything you want the Evoque to be. Just beware of the options list.